CHOOSE ANOTHER COUNTRY Free classifieds in Nigeria ! 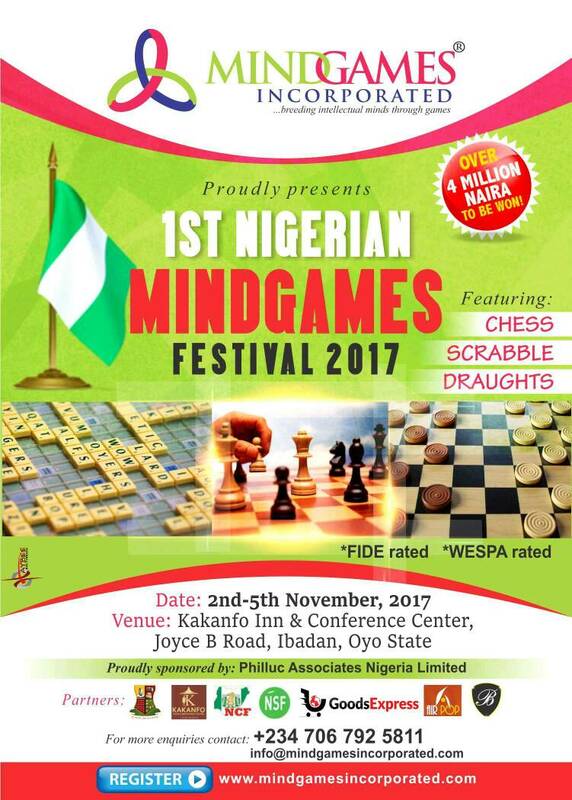 Please join us for the 1st Nigerian MindGames Festival 2017 featuring DRAUGHTS, CHESS & SCRABBLE with over 4 MILLION NAIRA prize pool. Venue is Kakanfo Inn & Conference Center, Ibadan. Be part of our journey @MGi!